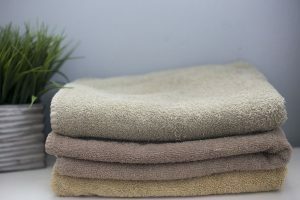 Home Environment – Organic and natural fiber products for the bedroom, bathroom and nursery. Organic and natural fiber products for the bedroom, bathroom and nursery. Home Environment celebrates our planet by offering earth-friendly alternatives to everyday goods for you and your home. We encourage low impact and sustainable living with a respect for others and our environment. We specialize in organic and natural fiber products for the bedroom, bathroom and nursery. We also have a great selection of organic baby clothes and baby accessories. Our store features the finest organic mattresses including organic innerspring mattresses and natural latex mattresses. We offer a variety of styles in both the organic innerspring mattress and in the natural latex mattress. We also carry organic bedding, organic cotton pillows, pure wool pillows and organic cotton sheets. We have a large selection of organic cotton sheets and organic cotton duvet covers. Our organic mattresses are made without toxic chemicals and contain no flame retardants. Our line includes organic inner spring mattresses with organic cotton and pure grow wool and natural latex mattresses. We carry a full line of organic bedding including pure grow wool comforters, pillows, wool puddle pads, mattress toppers and mattress pads and an organic futon made of organic cotton, pure grow wool and natural latex. All of our organic mattresses and organic futons are chemical free and contain no synthetic materials. Our organic futon has a 4 inch core of natural latex surrounded by organic cotton and pure grow wool. Compare this organic futon to other organic futons. The quality and the price of our organic futon is hard to beat. This organic futon is a perfect choice for young children when they are ready to move from their crib. College students will also enjoy the organic futon and many customers choose the organic futon for the spare bedroom. Our organic bedding selection includes an organic mattress topper filled with pure wool and covered with an organic cotton cover. Or choose a natural latex mattress topper covered in organic cotton with an organic cotton and wool quilting on top. Our organic cotton sheets are available in organic cotton percale, organic cotton flannel, and organic cotton sateen. Our brand is well known for its soft, luxurious organic cotton sheets and bedding. Our organic bedding collection includes organic cotton sheets, organic cotton pillow cases and shams, organic cotton duvet covers, organic cotton blankets, and organic cotton towels. Our organic cotton sheets are available in organic cotton percale, organic cotton flannel, and organic cotton sateen. Our brand is well known for its soft, luxurious organic cotton sheets and bedding. All of our’s organic cotton sheets and bedding are made from certified organic cotton and is minimally processed without the use of toxic chemicals. Legna wood fiber sheets and legna bedding by SDH are as soft and smooth as silk. Legna wood fiber is a new innovative fiber from Italy. SDH Legna sheets and Legna bedding, made from Italian wood fiber, combine the luster and soft drape of silk with the familiar ease of cotton. Legna bedding is woven in Italy to exact specifications from 100% wood fiber harvested from managed forests. Meticulously finished and luxuriously soft Legna bedding and Legna sheets have true and lasting beauty. We have an all natural line of natural fiber bedding products finished without chemical ingredients. No chemical bleaches, no chemical dyes and no formaldehyde.The natural fibers and natural fiber blends used for us include Egyptian cotton, linen, cotton/linen blends, virgin wool and silk. The natural aesthetic beauty combined with a soft feel of high quality finishing make our product a wonderfully satisfying luxury for the home. We carry a large collection of organic bedding including hand tufted organic comforters and quilted organic comforters. We carry organic cotton jacquard blankets and brushed organic cotton blankets. Our selection of organic pillows can’t be beat. We carry organic cotton pillows, wool pillows, three versions of natural latex pillows, buckwheat hull pillows and millet hull pillows. Our baby collection of organic products includes organic crib mattresses and cradle mattresses. We offer organic innerspring crib mattresses and natural latex crib mattresses. We also carry organic baby bedding including organic cotton crib blankets, organic cotton crib sheets, organic cotton receiving blankets, and organic cotton hooded bath towels. In its organic cotton crib sheet line, our offers organic cotton percale crib sheets and organic cotton flannel crib sheets. All of our’s organic cotton baby bedding and sheets are made from certified organic cotton and are processed wtihout the use of chemicals. Our’s crib sheets fit any standard size crib mattress. In addition to our organic baby and crib mattresses, organic cotton crib baby sheets and bedding, we carry a solid maple crib. It is convertible into a daybed or youth bed using a conversion kit. The crib is made from Western Maple grown in managed forests. To highlight the natural beauty of this distinctive hardwood, each Pacific Rim crib is hand-rubbed with a safe finish. Home Environment, Proudly powered by WordPress.